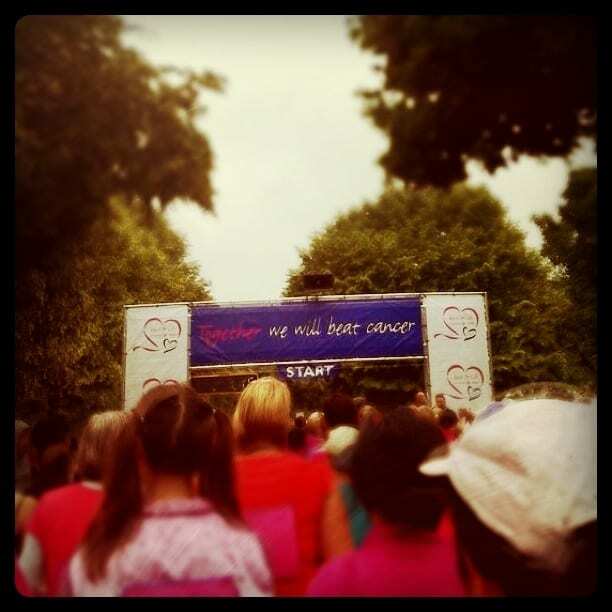 Saturday was my Race for Life event. Unlike other years, I was doing 10K, and unlike other years, the weather was crap. Both of these things combined meant that I didn’t enjoy the event as much as I have done previously. Its been at least 13 years since I’ve done any sort of cross country running in long wet grass and muddy puddles (oddly, it was always my “time of the month” when it was Cross Country time!) and after the second kilometre or so, we had a heavy rain storm which made me thankful I had my contacts in instead of wearing my glasses! It drizzled for the rest of the time, which was not fun. The course was poorly marked out as well – there was one girl who kept taking so many shortcuts and I still kept catching her up! I considered cheating like that, but I didn’t see the point – why bother? I did the run in an hour and a half, which I’m not that pleased about – I think with more training and nicer weather, I would have been speedier, but I have a time to beat next year now I guess! 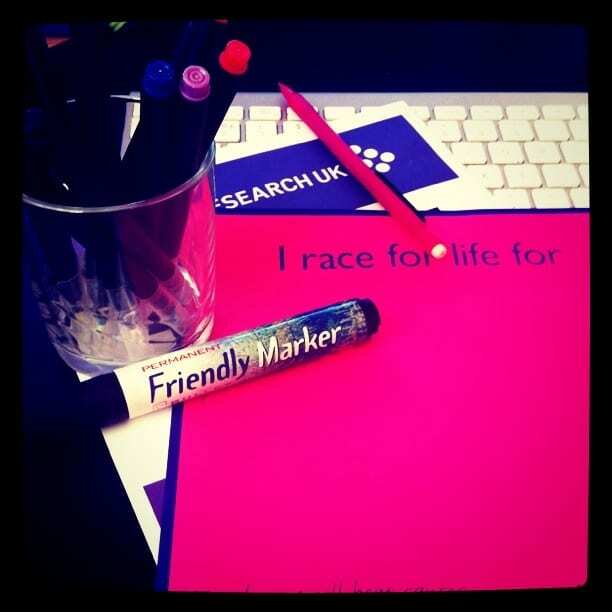 This might sound really obvious, but the 10K is more for the runner who is a bit more competitive, which is the opposite to what I’ve found with Race for Life events previously – an event thats about getting your friends together, having fun and raising money. Despite all of this, I actually want to start running properly – actually getting out was fun for once, despite that I can barely walk now! 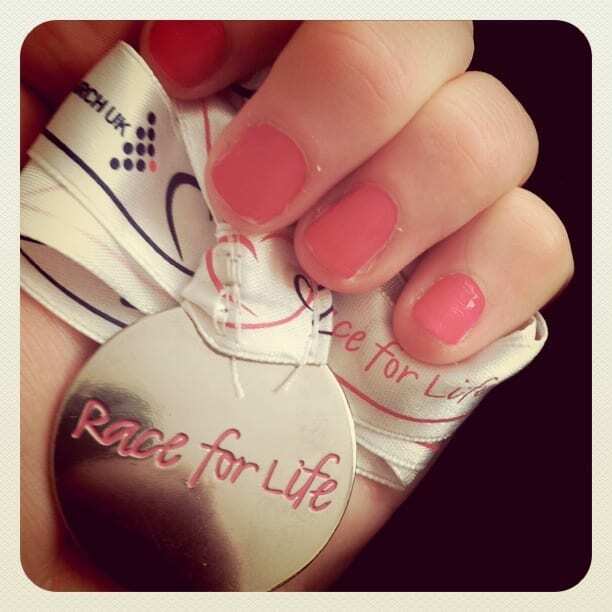 I love doing Race for Life, and I’m already looking forward to next years. I’m not sure yet if I want to do the 5K or the 10K – theres enough time to decide! If you’d like to throw a little money my way for completing the 10K, my sponsorship page is still open for the next month or so. My target was Ã‚Â£250, but I’m already on Ã‚Â£400 – I’m so happy, thank you so so so much! 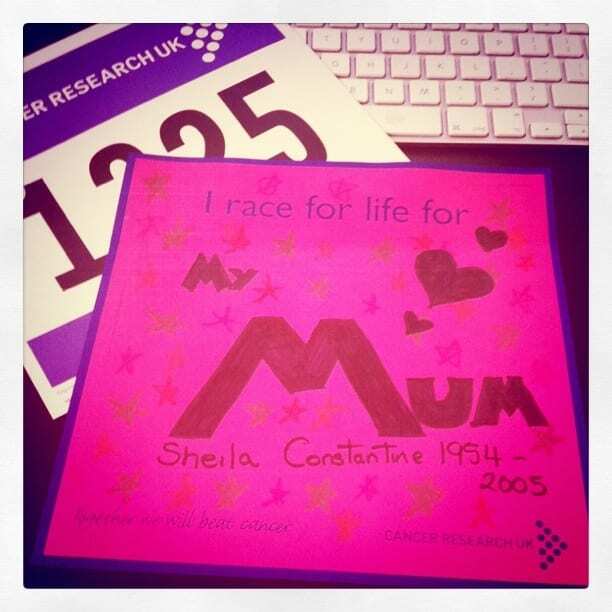 Race for Life – It’s Tomorrow Already?! Wow, you’ve rasied so much money so far! That’s amazing! 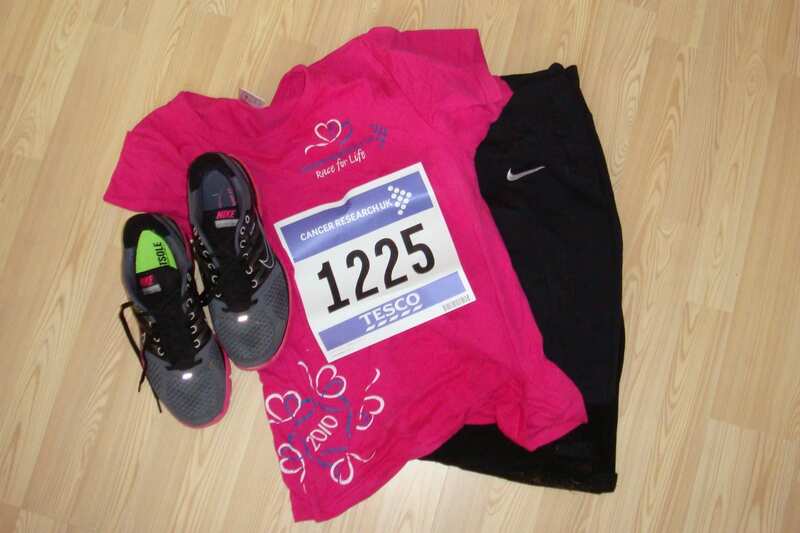 The Race for Life this year really spurred me on to keep up with my running and get up to 10k next year. Good luck with your own running, it’s crazy how addictive it can be! Hurray!! Well done you, you’re a total machine, I think that time is amazing given that you haven’t really done any training, I couldn’t even think of doing a 10k at the moment, there’s no way I’d be able to keep running for that long. Amazing sponsorship money you’ve raised as well, hope you’re feeling very proud of your wee self.